We seem to have been hearing a lot about this in the news recently, but I do question if there is really “intelligence” at all, or just logical decision making based on more and more data. 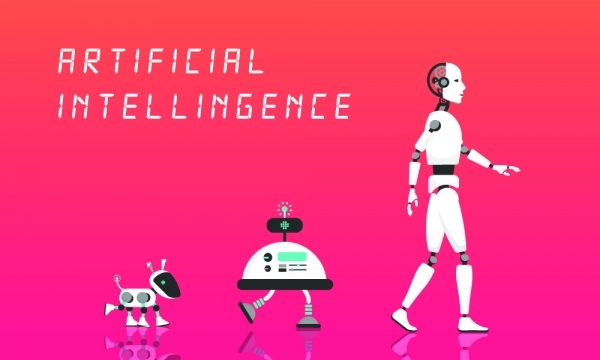 The definition of AI is broadly speaking a machine (a computer) being able to make decisions without recourse to human intervention based upon the information available at the time. Since the advent of the movies there has been Tin Man, Metal Mickey, Marvin (the Paranoid Android), R2D2, C3PO & Data to name but a few, but these were all just good old fiction. Tomorrow’s World told us for years that the robots were coming and the BBC News Click program is still telling us what’s on the horizon, but are we really ever going to see AI in our day-to-day lives? You may not realise it, but we do! The simple auto-cancel of the car indicator says that if you’re turning the wheel in the other direction then you must have finished manoeuvring so therefore cancel the indicator: The sensor in your tumble-dryer says that there is no more moisture, so off the dryer goes. The flash on your phone camera only flashes when it needs to. These are all simple examples of a machine making a decision. But does it really think? No! It is simply making a choice based on pre-determined instructions. So what about the driverless car, the NHS automatic doctor or the auto-pilot on a commercial aircraft? Again, no! I admit that they all are pretty sophisticated and that they “learn” from their mistakes but do they like sugar in their tea, or did they choose to wear odd socks “just for the hell of it”? I think not. Despite our best endeavours, the plain truth is that a machine can never be a sentient, conscious being; but that doesn’t matter at all as we just can’t get enough of things that decide what’s best for us. Siri, Alexa, Cortana and the blandly named Google Assistant are all in vogue at the moment taking notes for us, doing the shopping, reminding us to take the cocker-dandy-labra-doodle-doo to the grooming shop next week, but does it really matter? In short, they help find useful information when you ask for it using your voice; you can say “Where’s the nearest Chinese restaurant?”, “What’s on my schedule today?”, “Remind me to call Jerry at eight o’clock,” and the assistant will respond by finding information, relaying information from your phone, or sending commands to other apps. Until someone can link human intellect to a machine in a permanent way then this is really as far as it goes … for the moment.